You're missing out on Rewards? No problem, we can sign you up in 5 easy steps. 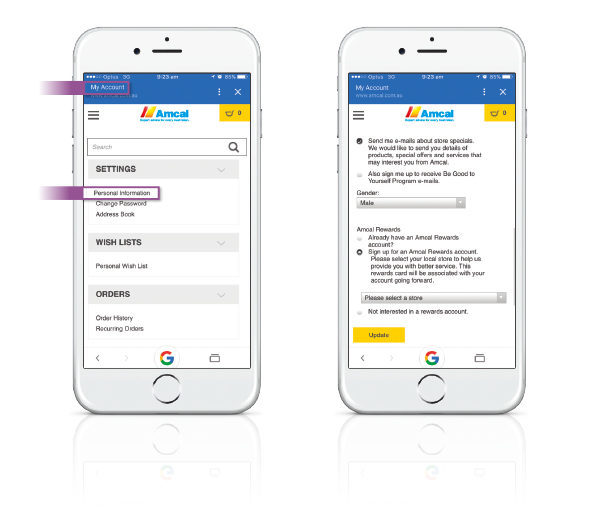 Step 4: Scroll down and tick the box sign up for an Amcal Rewards Account to be setup. Don't forget to select the nearest store close to you. Step 5: Click Submit. You've done it! Now you can start earning points and start receiving all the benfits that come with the Amcal Rewards Program!